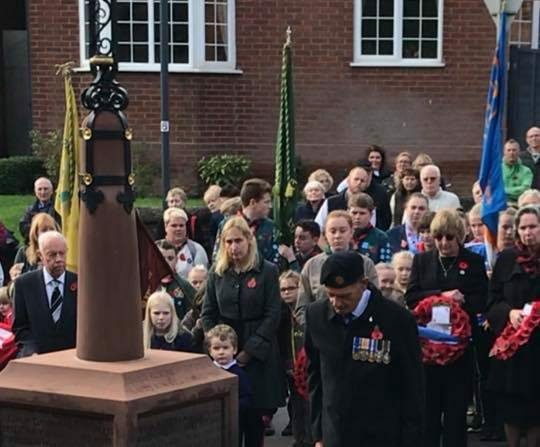 Fillongley was proud to join in a day of commemoration for the Centenary of the End of the First World War on 11th November 2018. In recent weeks the years of preparation came to fruition with the newly renovated War Memorial being put back into position. The stonework has been cleaned and the cracked pillar replaced with identical stone. The iron cross has been restored back to its former glory. Whilst working on the cross, Blacksmith Greg discovered exactly where it had been originally gilded in 1922 and has replicated that. 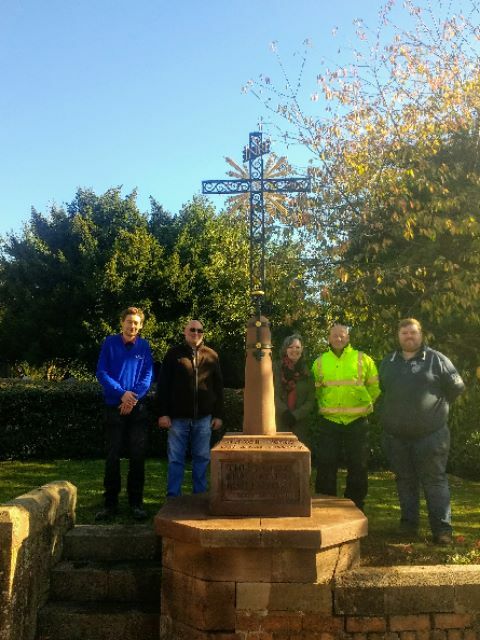 This was partly funded by a grant from the War Memorials Trust and partly by 3 years of fundraising, led by Cllr Jo Hooke. 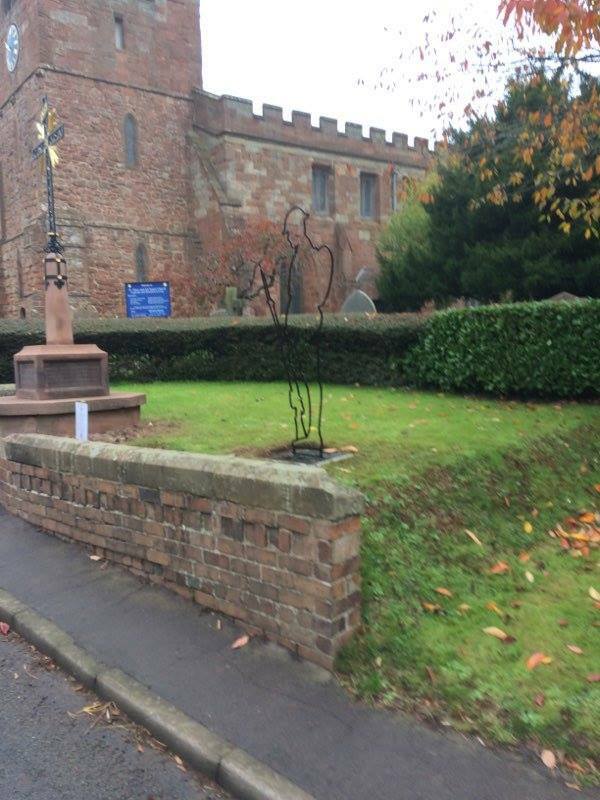 As part of the “There But Not There”, a 6’ high Tommy Silhouette has been installed standing watch over the War Memorial. The bench at the crossroads of Coventry Road/Tamworth Road/Nuneaton Road/Meriden Road has also been replaced with a memorial bench complete with a poppy pattern made in the setts on the ground. Thanks to JS Landscaping for this great attention to detail. 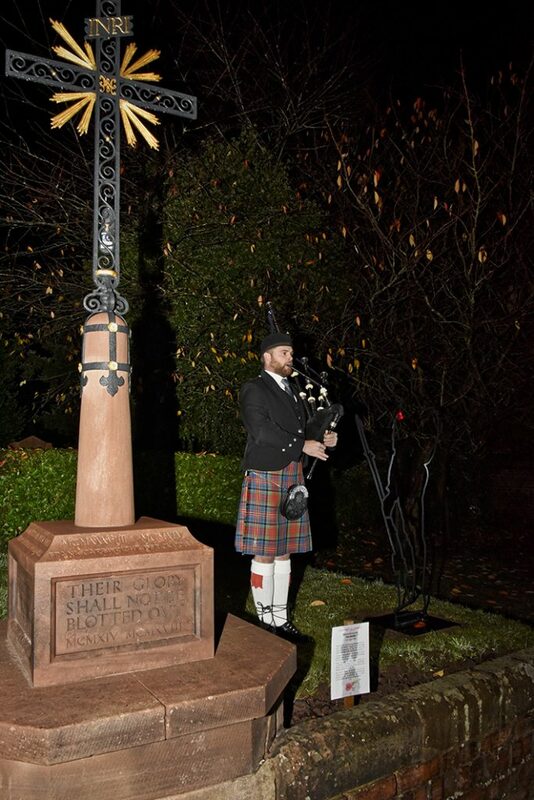 The 11th November began early with Lone Piper, Andrew Keeling, standing by the War Memorial playing the lament “Battle’s O’er”. This was part of the national commemorations as all over the world, over 2000 lone pipers were piping the same tune at the same time. 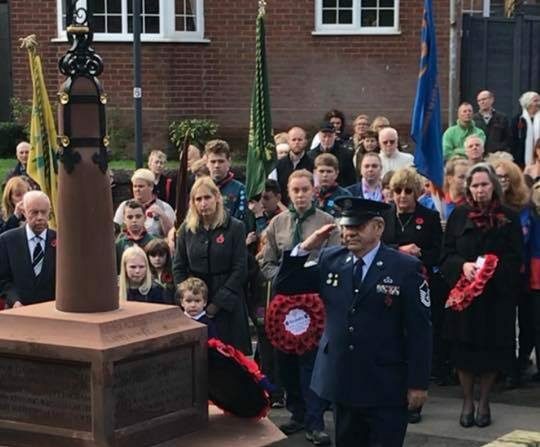 A crowd of around 30 people had got up early to share in this moment in Fillongley; it was very poignant to be a part of this. The Remembrance Service at St Mary & All Saints was led by Rev. Ian Kennedy who had obtained special permission from the Diocese to return to lead us on this special occasion. The Church was packed with local people, leaving very little standing room only. 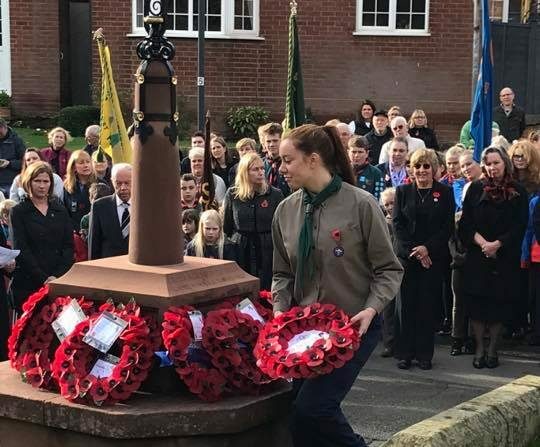 The Scouting and Guiding groups paraded from Church Lane and trouped their flags through the Church. The names of the local people were remembered and two minutes silence held. 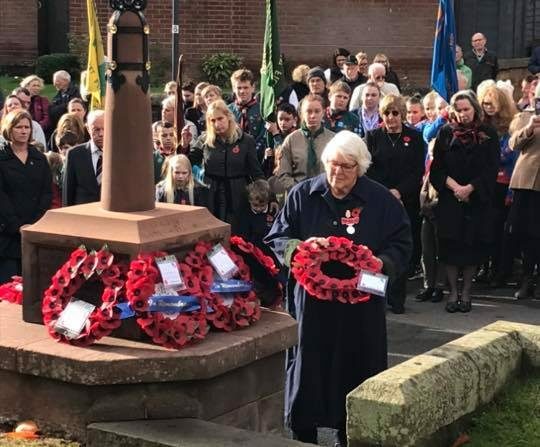 At the end of the service, the congregation moved out to the War Memorial where the road had been closed, enabling numerous wreaths to be laid on behalf of local groups. A number of relatives of those commemorated on the Memorial had joined us from other parts of the country and some of these laid private memorials as well. At the end of the Service, from 12 – 12.30 the band of ringers, led by Tower Captain Mr Rodney Swallow, rang out, again as part of the national commemoration – Ringing Out for Peace. 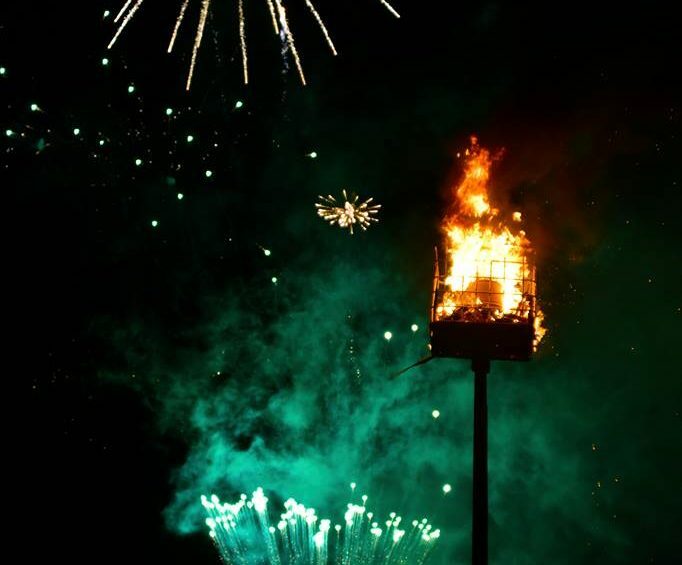 In the evening, Fillongley Cricket Club hosted one of the “Beacons of Light” organised by Fillongley Parish Council to coincide with the national events. The gates opened at 6pm to a stream of people joining in the commemoration. 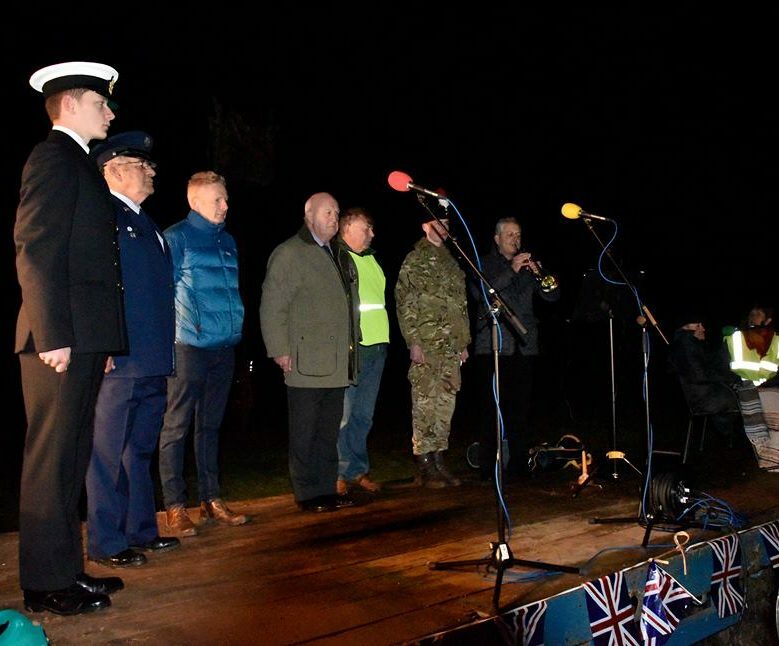 At around 6.45pm, 6 members of the community (James Billington, Ron Siebert, Mark Greenaway, Terry Onions, John Sargent and Archie Badham]) read out a “Tribute to the Millions”. Following this John Truman played the Last Post and then the gathered crowd paused for a Minutes Silence. John played Reveille, closely followed by the National Anthem which the crowd joined in with. 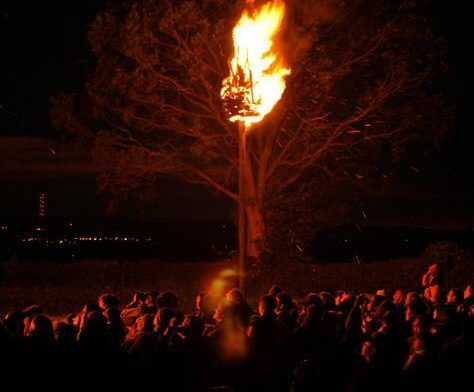 Then, joining in with national timings, Lance Judge-Porter lit the Beacon for Fillongley and then went on to light a great bonfire. 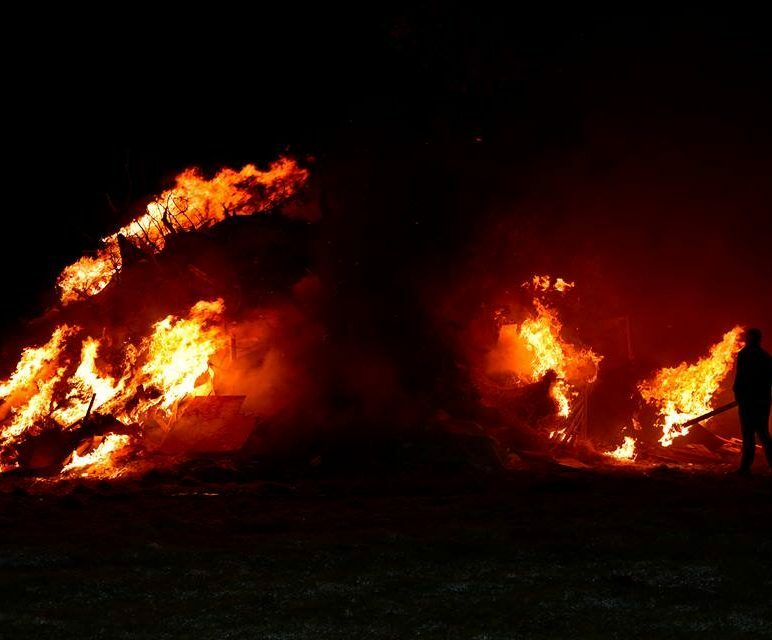 Jonathans Fireworks provided a spectacular celebratory firework display to round the evening off. 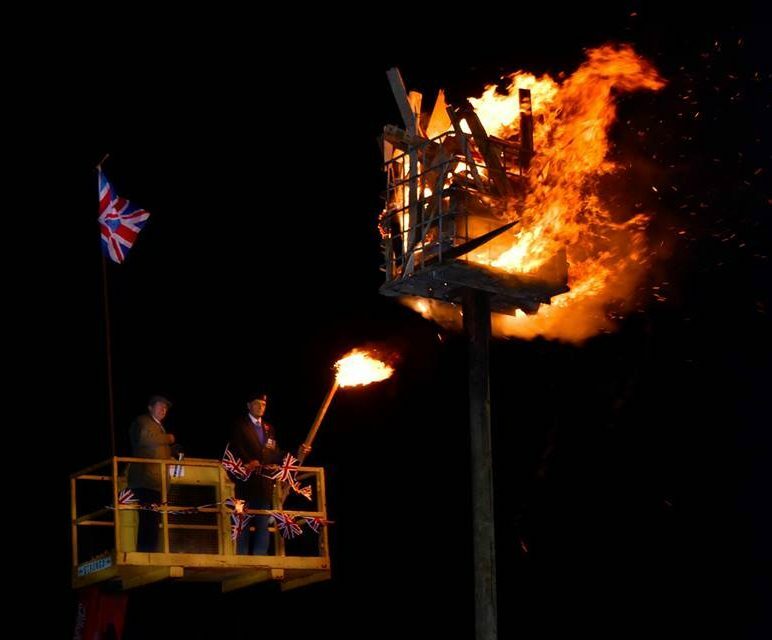 It was acclaimed as a fitting tribute to our forebears. 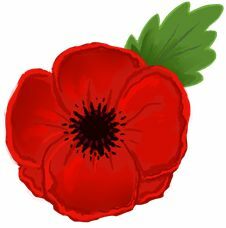 FPC express thanks to all involved in the days commemorations.